and have provided music for over 6000 Weddings, Parties & Events. We have one of the largest CD and MP3 Music Libraries in the Business. You pick (in as much detail as you like) the music that will be played at your event. If you want something (and we don't already have it), we will get it, at no extra charge. Want a live touch? DJ Mark Power is also a great singer. Click below for a lists of songs that Mark can sing live. 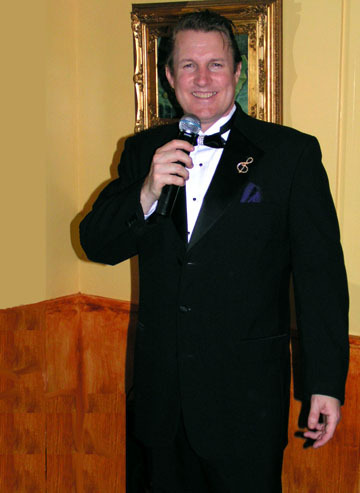 Have him sing one special song or as many as you like. .
Mark Also sings for Wedding Ceremonies. Click Here to download and listen to samples of Mark Singing. Click Here for a PDF Printable List of Love Songs that Mark Sings.